Open every day throughout the year, serving luches and dinners, and the finest coffee from Costa. Fine Dining - Seven Course Tasting Menu. Everything is prepared by chef / owner Anton Buttery. 18th century pub country pub offering full restaurant menu. All meals utilise Cornish produce and specials feature locally caught game. Menu includes locally produced beef and lamb, freshly caught seafood and seasonal local friuts and vegetables. When you go to a pub for an evening meal you expect to eat heartily for ‘not so much’, finding such places to eat in North Cornwall can be a challenge during holiday periods. You will not find overpriced ‘art on a plate’ here, two strips of carrot a square of meat or fish on a ‘sauce-stained’ plate. 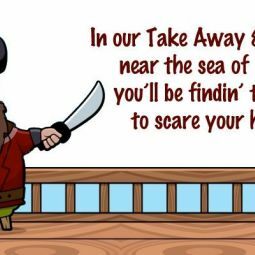 What you will find is our good honest old fashioned pub food, at a price that anyone can afford with fresh local produce used wherever possible. 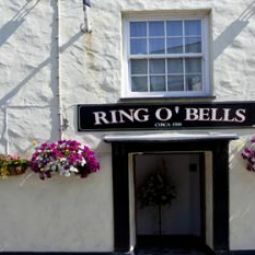 At the Ring O Bells you will get a great night out without breaking the bank. Being a pub, we know a thing or two about wines and spirits too, so even the house wines are selected with care and with an eye for value. So that’s about it… proper food at a proper price with some proper Cornish company, now that does sound like a good night out! Serves Nepalese and North Indian cuisine. Children welcome. 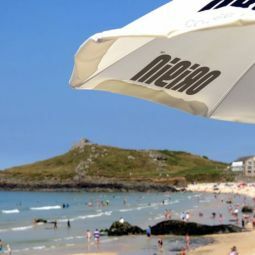 Situated almost on the beach, the Porthmeor Cafe serves a range of food from breakfasts through to tapas, Asian/fusion and seafood dishes. 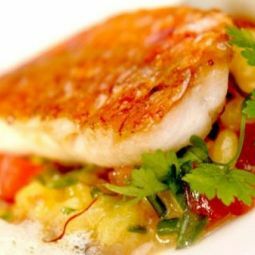 Voted one of Britain’s 30 best restaurants by the sea in the Times, Ben's offers fine dining at reasonable price. Located in the heart of Marazion the restaurant is a family run, warm, yet modern place to relax.